THERE is a bit of impatience about regarding the pace at which South African president, Cyril Ramaphosa, is working to restore the country’s economic fortunes. The task at hand is enormous: undoing the damage caused by years of pillage is the work of a decade, never mind a single administration. One imagines a utilitarian, messy undertaking much like the job of setting Eskom to rights; it is, after all, the government-owned institution that most closely captures our sovereign dereliction. It’s quite right for Eskom chairman to Jabu Mabuza to question the extent to which backward-looking forensics can solve the utility’s problems. It’s one thing to find blame and seek restitution, but it is quite another to do it at the expense of Eskom’s future. Let the skeletons emerge grinningly as they may. What’s most pressing is the new business model Eskom’s management will adopt. For the moment, though, there’s little substance to the masterplan proposed by Mabuza and his CEO, Phakamani Hadebe. Take the mining side of things. There’s talk of reinvesting in the cost plus coal model, the system in which Eskom pays the capital cost of coal resource replacement in order for guaranteed coal qualities at inflation-linked pricing. But how is this to be done in an industry that has already lost the expertise and balance sheet heft of Anglo American and South32? Mabuza also wants better freight rates for the increasing amount of coal that can’t be sourced through integrated cost plus, coal-to-power – although there’s a limit to which Transnet can help. It is still rolling out the road-to-rail strategy and, quite often, road is the only way of supplying coal mines expeditiously. As for another proposal that Eskom work more closely with the state-owned mining entity, African Exploration & Mining Finance Company (AEMFC): that must mean a renegotiation of coal sales agreements, and the exploitation of coal resources under AEMFC’s belt currently. The AEMFC is not a big player in South Africa’s coal sector, however, so this is hardly a one-stop solution to Eskom’s coal procurement issues. There are some things Eskom can do, however, to give its business re-engineering some momentum, and in short order. One is to approve R1.8bn in expenditure for the replacement of Matla colliery’s resources, operated by Exxaro Resources. Coal supply to Eskom from Matla has fallen to about seven to eight million tonnes owing to lack of investment, well below the 10 million tonnes (Mt) Matla is contracted to supply to Matla power station. 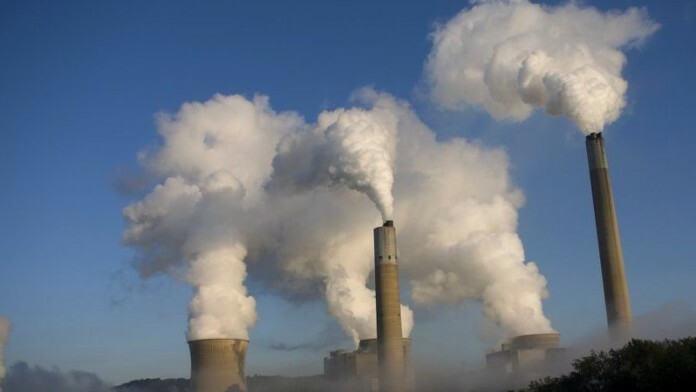 The second step is a quick-fire development plan for New Largo, a coal mining project that has never been seriously tackled despite its importance in supplying Kusile, the 4,800MW Mpumalanga province power station. The project is now with Seriti Resources after Anglo American sold it earlier this year having given up on domestic thermal coal supply. Then there’s Optimum Coal. The Government is guilty of a major misstep regarding the colliery in allowing a business rescue practitioner to preside over a pretty opportunistic deal between it and the Burgh Group, a private company, with only its principal shareholders in mind. This agreement – allowing Burgh Group to export coal Eskom desperately needs in return for a short-term capital injection – doesn’t make strategic sense. “Markets seem to be largely ignoring the Eskom dangers – hopefully that is a sign of confidence that things will be sorted,” said UBS in a recent note on Eskom’s full-year results presentation. “However, there is no doubt that Eskom is by far the single biggest near term risk to South Africa’s overall health as most of the debt sits on the state’s balance sheet,” the bank added.